Its Santa! I know him! Some of the cast of Elf! Take a look at this video we made back in 2011 of our students in rehearsal at Summer School! So many of them went on to train and work professionally – see how many of our ‘Former Students’ you can spot!! 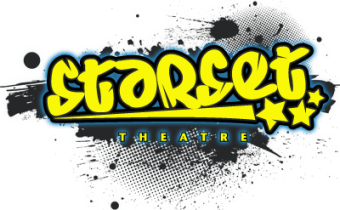 Back in 2008, Starset Theatre performed Les Miserables for the first time. This was a landmark production for us; the scale of the production was far greater than anything we had done previously. Fortunately, we had a really talented bunch of students and we’re very proud that so many of them went on to train and perform professionally. This video was taken in rehearsal – in the days before iphones!